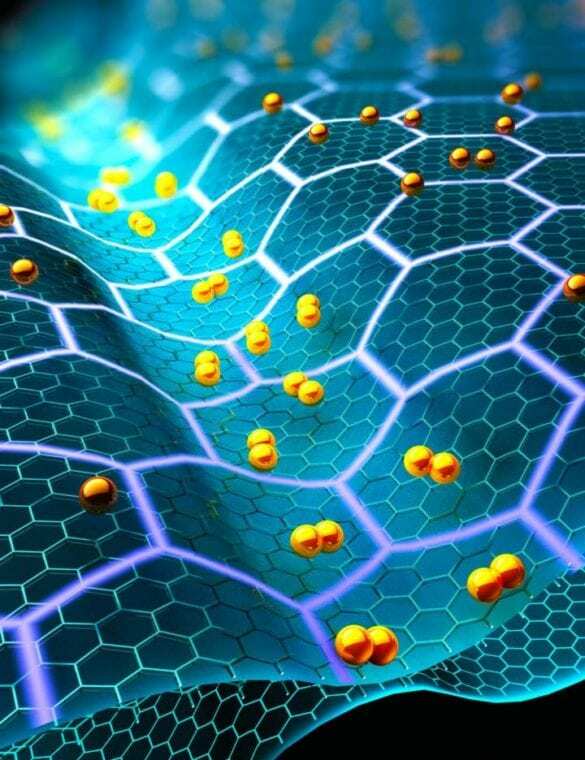 Now, a Columbia University-led team has developed a new method to finely tune adjacent layers of graphene–lacy, honeycomb-like sheets of carbon atoms–to induce superconductivity. Their research provides new insights into the physics underlying this two-dimensional material’s intriguing characteristics. The team’s paper is published in the Jan. 24 issue of Science. They studied a sample with twist angle of 1.3 degrees–only slightly larger than the magic angle but still far enough away to preclude superconductivity. Applying pressure transformed the material from a metal into either an insulator–in which electricity cannot flow–or a superconductor–where electrical current can pass without resistance–depending on the number of electrons in the material. “Our findings significantly relax the constraints that make it challenging to study the system and gives us new knobs to control it,” Young said. “Understanding ‘why’ any of this is happening is a formidable challenge but critical for eventually harnessing the power of this material–and our work starts unraveling the mystery,'” Dean said.